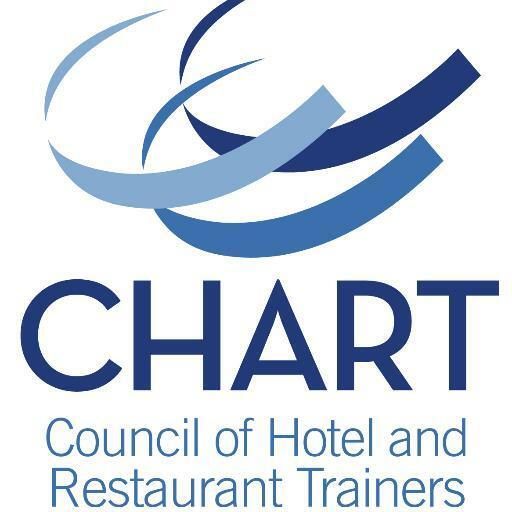 Two years ago, as Director of Recruiting and Training for Ivar’s Restaurants, I applied to join the Executive Track Competency Capstone session that would be taking place on the Saturday of the CHART conference in Charleston. Each competency track includes a capstone class available for those members who have completed the three initial workshops within that track, and these in-depth and interactive courses allow participants to put the skills they have learned into action using real-life scenarios from their companies. I spent a lot of time considering which initiative I wanted to bring to that workshop, and eventually decided the most important would be “implementing a consistent, structured, and centralized system that will allow us to standardize and better coordinate recruiting, onboarding/orientation, training, and development practices for all five of the operating divisions and the administrative offices of Ivar's Restaurants.” Quite a mouthful! The reason I chose that project for the capstone was that, at the time, I believed a new system would help overcome the administrative struggles we (the HR Department and myself) were having due to the hodgepodge of paper-based solutions and assorted websites we were using for our recruiting and training practices. To me, this idea seemed like the perfect answer, especially because it would make my work life easier, and I could pretty much stay within my comfort zone. Up until this point, I had only discussed these concerns with others inside my company, all of whom either had a hand in creating our current system or had a stake in the outcome if we were to make a change. As a result, none of these folks could give a truly impartial opinion. Attending the capstone session, however, afforded me the opportunity to talk about the project (and the circumstances that created the need for it) with external hospitality professionals who could offer rational and independent feedback. I was lucky enough to have Michele Lange, Colby Hutchinson, Cindy Bates, and Kelley Dersch working alongside me, and they provided some great advice that was based on their vast experience in our industry and not on their personal feelings or egos. The capstone session also provided something I wasn’t used to getting when it came to long-term projects: time. Even though it was only eight hours, that was an eternity compared to how much time I could focus on such a huge project during regular workdays, when I am typically interrupted by 1) recruiting and training requests that require immediate attention, 2) a never-ending stream of meetings, conversations, emails, and texts, and 3) lack-of-discipline diversions like YouTube videos, Instagram posts, shiny objects, snacks, etc. The luxury of spending eight secluded hours diving into one specific project is not something that comes around very often (if at all) in my world. Last but certainly not least, the session was blessed with the unbelievably talented facilitation skills of the CHART Dream Team: Janet Hoffmann, Joleen Goronkin, and Toni Quist. These three past CHART Presidents were not going to let us off easy and challenged everyone to seek true solutions for the projects we had brought to the capstone. I am incredibly thankful especially to Joleen, who at one point kept asking me “How did you get there?” over and over to help determine the real reason I was not satisfied with the status quo at work. Would achieving the goal I selected really solve our problems, or was there something deeper going on at Ivar’s that needed to be addressed? The combination of these factors (with Joleen’s unrelenting but much-needed questioning as the major catalyst) ultimately sparked a thunderbolt of an epiphany about two-thirds of the way into the session. It was honestly like a dam burst inside of my head, and suddenly I could perceive our real problem better than I had before. I still get goosebumps remembering the wave of thoughts that rolled over me in that instant: getting a new recruiting or training system might help us a little, but the real issue was much bigger. Ivar’s, as a workplace, had become stagnant. We were not innovating, progressing, or even keeping up. We were stuck in time and unable to move forward, mainly because our teams were so siloed that collaboration between departments was not happening. A new piece of software was not going to be able to solve all that! What we needed was someone who could reach across the divisions, bring people together, and guide us to a more productive future; someone who could proactively partner with Operations, IT, Marketing, Accounting, and Human Resources and focus on strategic initiatives to implement progressive processes and systems. With the right person in this position, Ivar’s could have a chance to become the premiere seafood restaurant company in the Northwest not only known for its high-quality menu items and outstanding hospitality, but also as a forward-thinking employer-of-choice for the next generation of workers. Without someone leading this charge, however, nothing was really going to change, and we’d grow more and more stale each passing day. I sat in silence for a few minutes after that moment because it was all a bit overwhelming, but I finished the session with a new determination. I began planting the seeds for this new position upon my return to Seattle, and although I knew it would take time for the owners and our President to get there, I was determined not to give up because I truly believed it that role would be necessary to transform us into the Ivar’s of tomorrow. I started listing the qualities needed by candidates who might fill the role, I developed a list of day-to-day responsibilities, and I gave it the most appropriate name I could think of: Director of Innovation. More importantly, I took every chance I was given to bring up how such a person could help us improve in various areas. It took two years for the company to act upon my idea, but earlier this summer the Director of Innovation position was announced, and I was selected to fill it. I didn’t know that I was going to be chosen, but my commitment and passion for leading this change apparently impressed enough of the right people. I’m excited to begin this new adventure because I know in my heart it will make a big difference for our employees and our guests, and any nervousness is swept away when I remember that there are 500+ members of the CHART community I can turn to for support. So, if you are not sure whether attending a capstone session at the next CHART conference is going to be the right move for you, let me tell you that it most definitely will be. No matter what issue you are facing, the opportunity to discuss your ideas openly with impartial peers and receive incredibly helpful feedback and guidance is something you should not miss out on. You never know – it might just change your entire life!